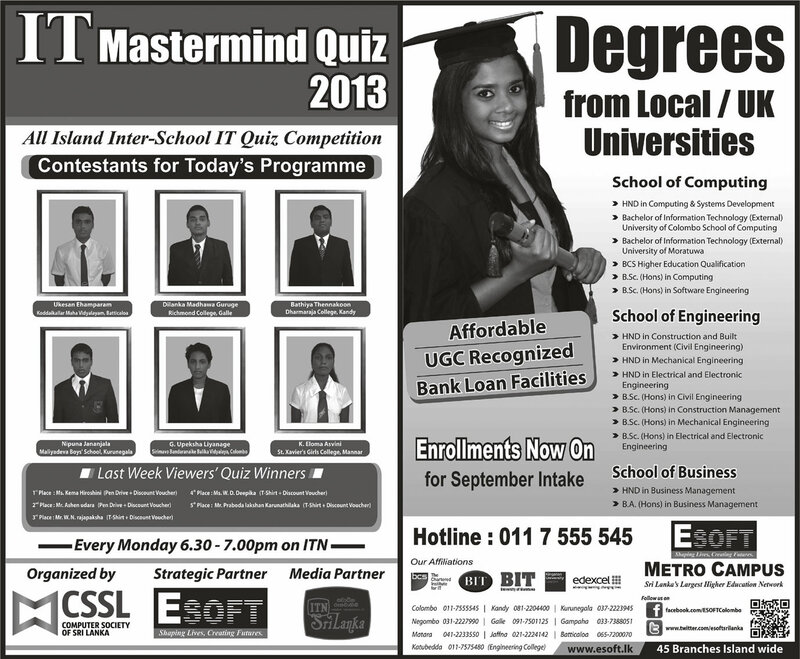 E Soft Metro Campus offers Verities of Degrees and Diploma programes for Sri Lankan students. HND in Computing & Systems Development. 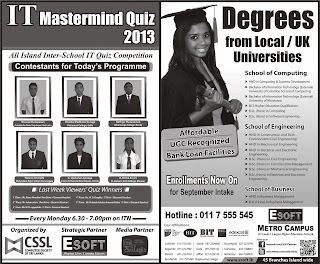 Bachelor of Information Technology (External) University of Colombo School of Computing. Bachelor of Information Technology (External) University of Moratuwa. B.Sc. (Hons) in Software Engineering.